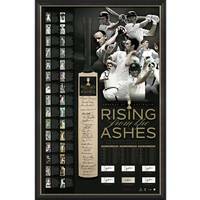 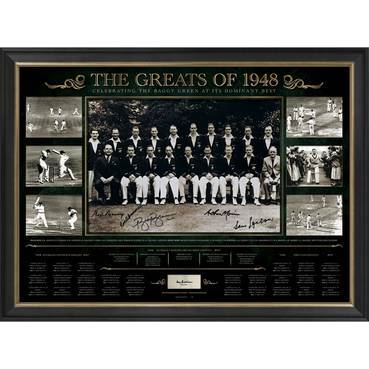 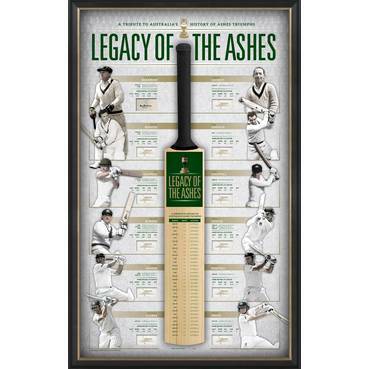 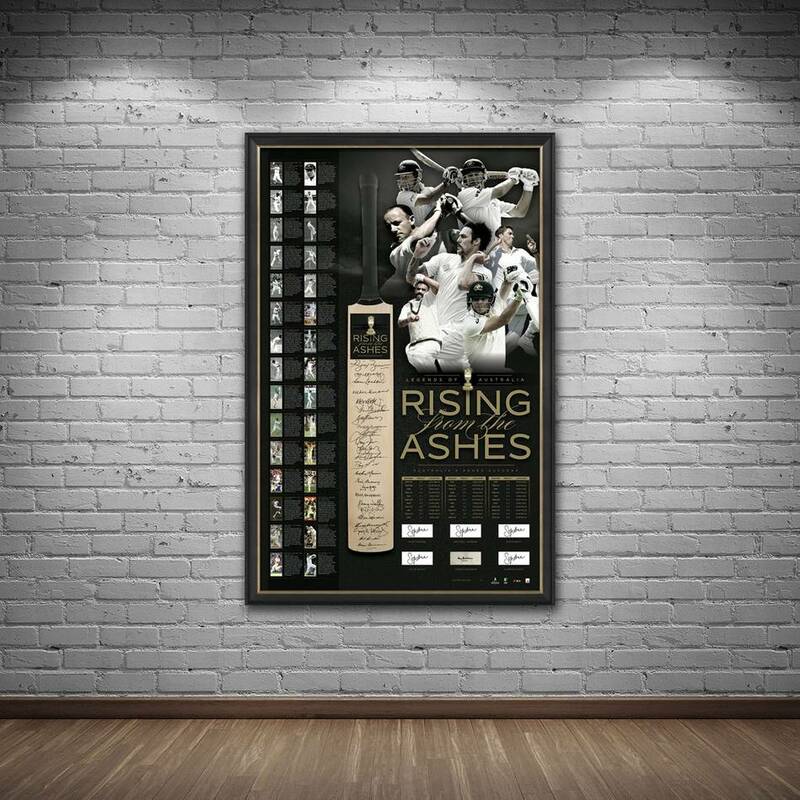 Official Memorabilia, in conjunction with Cricket Australia, are proud to release 'Rising from the Ashes', a once in a lifetime piece celebrating the greatest performances in Australia's proud Ashes history. 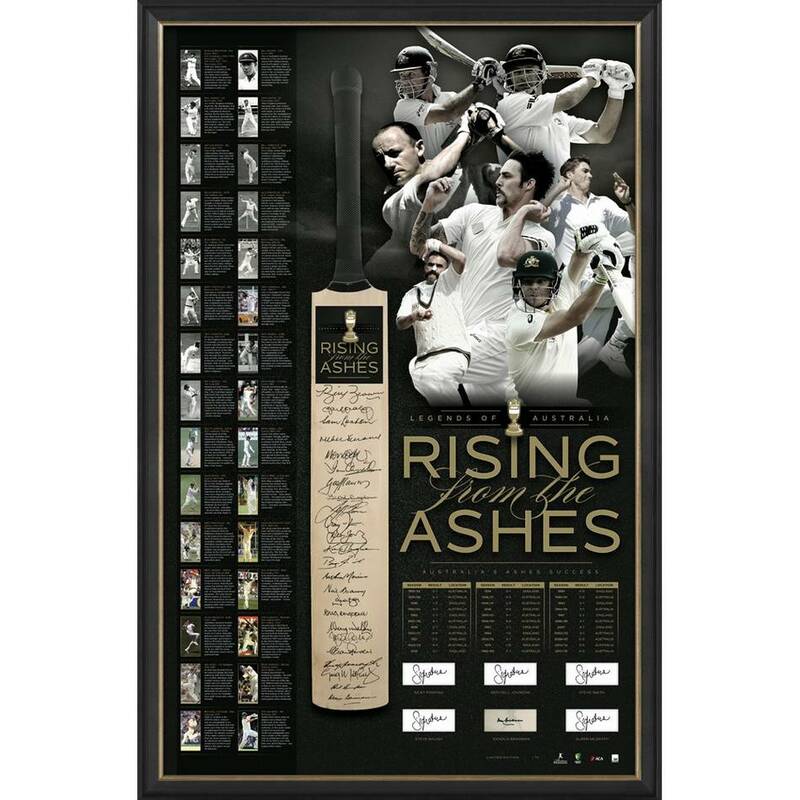 Personally signed by no less than 30 of the finest Australian cricketers to have ever donned the baggy green, 'Rising from the Ashes' comes officially licensed by Cricket Australia and independently authenticated by A-Tag for your piece of mind. 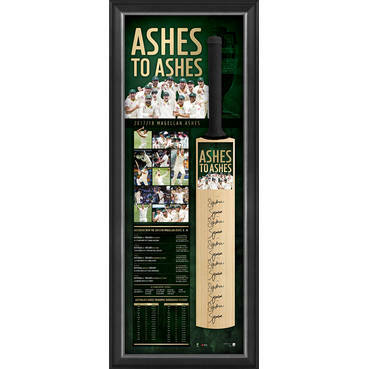 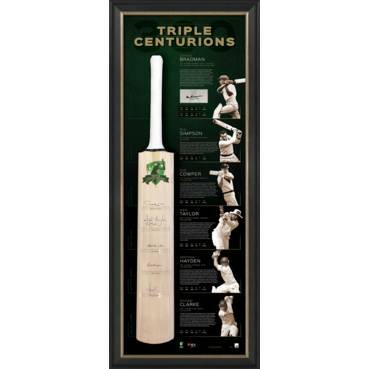 Limited to just 70 editions worldwide, this magnificently presented deluxe bat display will no doubt be one of the most sought after cricketing memorabilia pieces on the market - don't miss out on your chance to secure your piece of Ashes history!